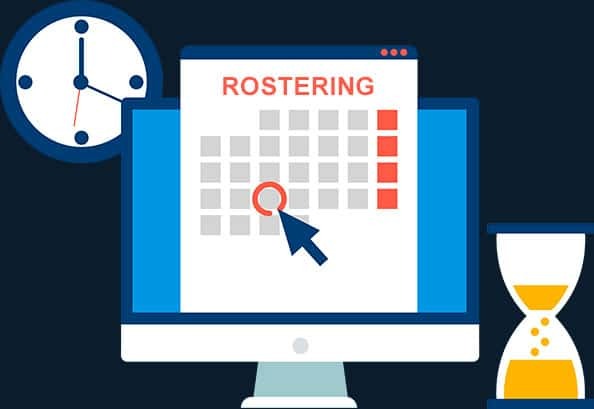 SapphireOne rostering manages your staff scheduling, anywhere, anytime, so you can be sure your employees are in the right place at the right time. Managers can optimise staff coverage for each shift to control costs and minimise compliance risk. Now you can look forward to spending less time in managing staff and more time on what’s important, growing your business. Managers can roster within multiple locations and staff according to departments, roles and cost. Schedule daily, weekly or fortnightly rosters with ease. Employees can track and view their own schedules, manage availability and pick up shifts on any device. Team communication flows between managers and employees. Increase profitability by no more spreadsheets, controlling costs with automation, reducing labour costs, eliminating no-shows and streamlining operations. Create and edit rosters effortlessly from your favourite device. New shifts can be dragged & dropped from existing rosters or weekly schedules copied. Seamlessly review and approve rosters prior to publishing for all your staff. Set the rules of staff rates and all shifts will be costed accordingly. Costs can be viewed by shift, employee and rostering basis. Track staff hours for payroll accuracy and insights into workforce productivity. Payroll module is included in SapphireOne which is TFN declaration, ATO/STP compliant.